Leap's Note: Today's post comes from Undercover Tourist customer and super Disney World fan Vern Woodruff. 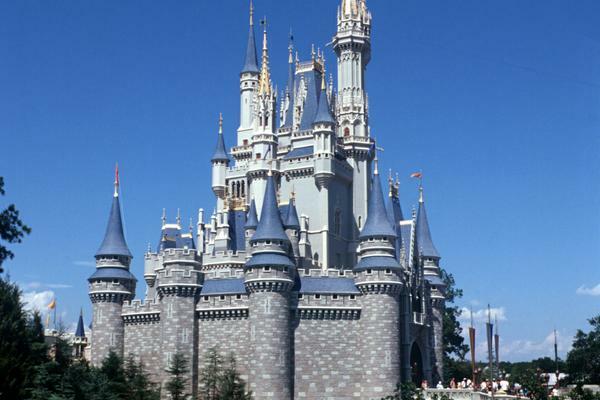 Vern has written about the Disney World character tips, princess dressing in the parks and the Jedi Training Academy. Bibbidi, Bobbidi, Boo! With these three words, the Fairy Godmother transformed Cinderella from a ragged scullery maid into a beautiful princess. 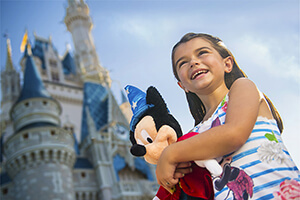 You may want to give your own little girl the princess treatment when visiting Magic Kingdom during your Walt Disney World vacation. To do this, you will find out the times and locations for meeting the Disney Princesses and try to secure an advance dining reservation at the most desirable of all the character meals —Cinderella’s Royal Table. Having an audience and dining with the princesses are both experiences that your little girl will treasure and meet with the utmost exuberance. 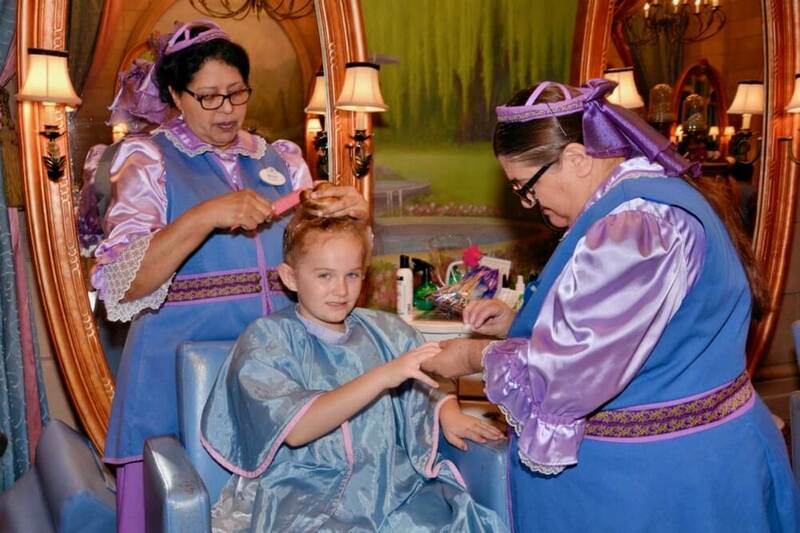 However, you can further enhance her excitement by giving your princess her very own Bibbidi Bobbidi Boo experience with an appointment at the Bibbidi Bobbidi Boutique located in Cinderella Castle or Disney Springs. 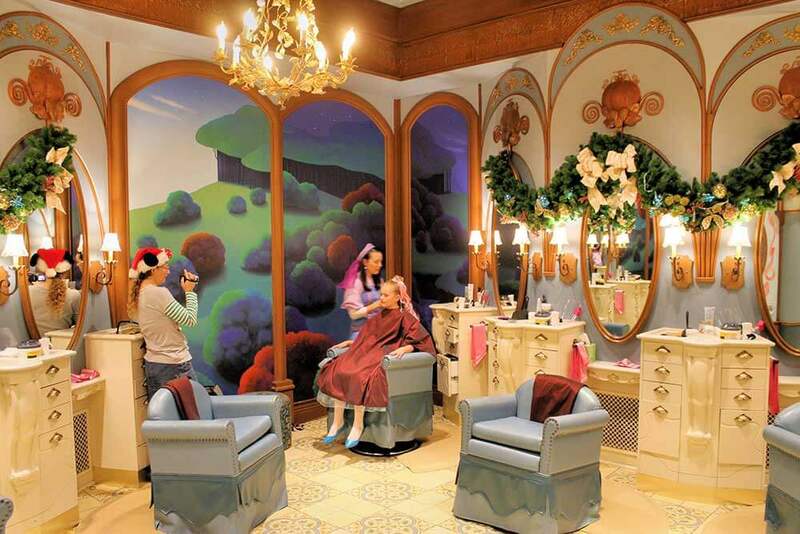 At the Bibbidi Bobbidi Boutique, your little girl will have her own Fairy Godmother-in-training give her a royal makeover at this beauty salon for children ages 3 through 12. There are five different packages to choose from. The Crown package ($64.95 + tax) includes hairstyling, makeup with a face gem, nail polish, princess sash and cinch bag. 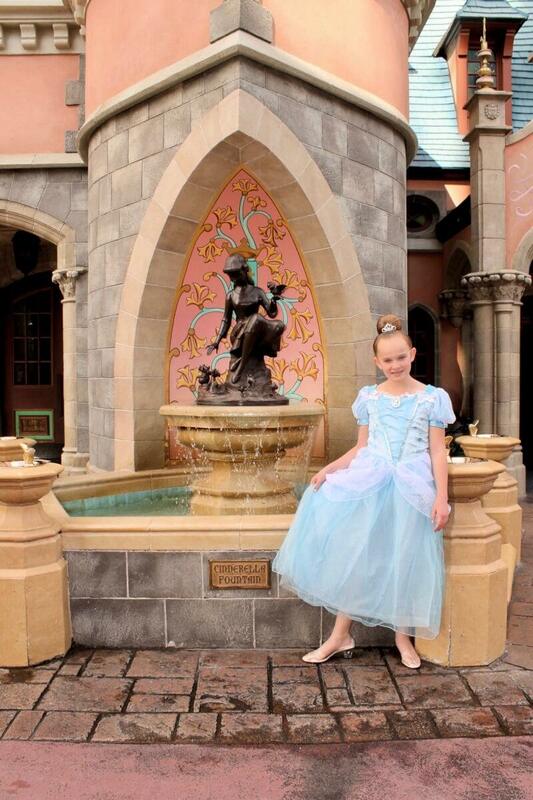 The Courtyard package ($109.95 + tax) adds a Bibbidi Bobbidi Boutique T-shirt and tutu. The Castle package (starting at $199.95 + tax) adds a princess costume of your girl’s choice and accessories (excluding shoes). The Deluxe Castle Package (starting at $229.95 plus tax) includes hairstyling, makeup with a face gem, princess necklace, sash, cinch sack and Deluxe Disney Princess gown of your choice (excluding shoes) ... plus a coordinating accessory set! The Princess Signature Dress Collection (starting at $450 + tax) features a princess gown made with heirloom-quality fabrics, a crystal tiara and organza garment bag. 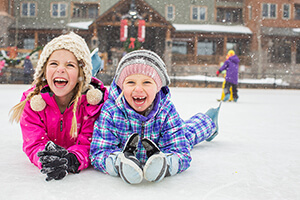 A print photo package can be added to any of the packages for $32.95 + tax. If you opted for Disney’s Memory Maker, pictures taken during your girl’s transformation can be added to your account. Also with Memory Maker, you can take your daughter over to Castle Couture and have a Bibbidi Bobbidi Boutique Studio photo session. There is no extra cost to have these pictures taken and added to your account. Assorted princess accessories and T-shirts are also available for purchase. The amount of time needed for this magical transformation is 30 to 60 minutes, depending on the package and which of the hairstyle choices is selected. However, the hairstyles have recently been simplified, and my daughter’s most recent visits were closer to 30 minutes. While the location in Cinderella’s Castle seems to be the most popular, another option is the Bibbidi Bobbidi Boutique location in Disney Springs. All of the styling choices and prices are the same, and it has a number of advantages. Since it is at Disney Springs, you do not need an admission ticket. If you have a planned day that does not include visiting the parks, a Bibbidi Bobbidi Boutique makeover that day can be a good choice because you do not lose park touring time while the makeover takes place. It is in a newer location, having moved from its spot in the Disney Store a couple of years ago. This allows for more seats and space in the salon area. However, it is still not overly roomy for siblings that are not having a makeover. There are two enhancements at the Disney Springs boutique that do not exist at the Cinderella Castle location. First, there are several changing rooms with a large mirror. Once in the room, the Fairy Godmother magically appears in the mirror and greets you. Secondly, after the princess transformation is complete and you are leaving the boutique, there is a neat photo op with a model of Cinderella’s carriage. A PhotoPass photographer will take pictures, but you can use your own camera as well. Perhaps the biggest advantage is that in our experience, it is MUCH easier to obtain a reservation. My daughter had an appointment on the day after Thanksgiving, which is one of the busiest days of the year at Disney World (a 9 out of 10 on the Undercover Tourist Crowd Calendar). We arrived about an hour early just to check in and were surprised that she could go ahead and start her princess transformation immediately. In the salon, there were a number of open seats so someone could have easily obtained a walk-in appointment. After your daughter’s makeover, you can visit the PhotoPass Service Studio located nearby in Disney Springs for a photo session. If you have Memory Maker, these photos are added to your account. There are tons of fun backgrounds to choose from, and you can even make your own princess storybook! I'm sure that there are many people like me who want to treat their little princess to the Bibbidi Bobbidi Boutique. For those who do want to do this, obtaining the appointment time you want can be more difficult than securing a dining reservation. 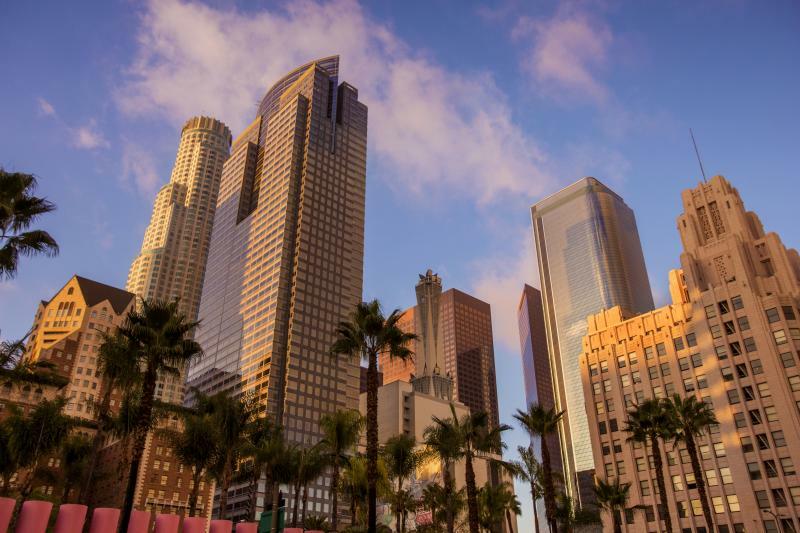 This is due to the popularity and limited number of time slots available on any given day for this experience. Advance planning and calling as you are eligible when the phone lines open is extremely important. The reservation phone lines are open from 7 a.m. until midnight, so it would be a good idea to call in advance of your eligibility date just to confirm the date you can start to make a reservation. The reservation policy is the same as for advance dining reservations. 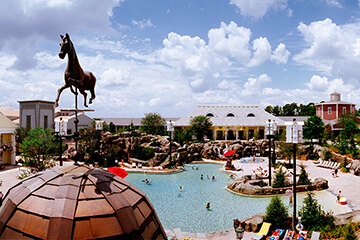 Guests staying at a non-Disney hotel can make reservations up to 180 days in advance, while those staying at a Disney resort can make a reservation for any day of their stay (up to 10 days) starting 180 days from their arrival. 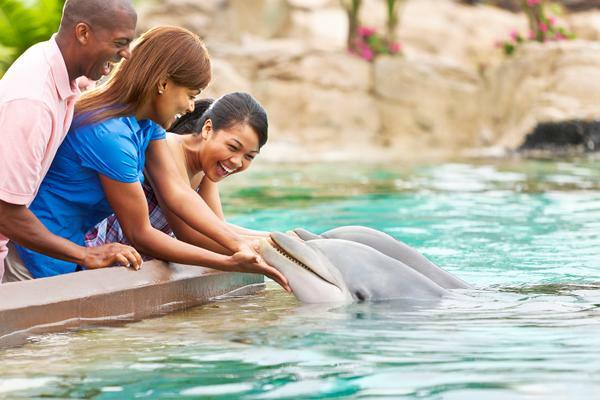 This means resort guests have an advance opportunity to reserve a time over non-resort guests. For example, on May 30 the farthest date out that a non-resort guest could start making a reservation is Nov. 26 (180 days from May 30). However, a resort guest arriving on Nov. 26 could make a Bibbidi Bobbidi Boutique reservation for Dec. 1, 185 days from his or her arrival (this is what I did). This means it is more difficult for non-resort guests to make a reservation. For resort guests, you may want to plan a Bibbidi Bobbidi Boutique appointment near the end of your trip (when you can reserve 180+ days in advance) instead of when you first arrive. You cannot currently make a reservation online, and the reservation will not show up in your My Disney Experience account. If you need to make dining reservations the same morning, I would recommend making those reservations through your MDE account starting at 6 a.m. EST and then calling the Bibbidi Bobbidi Boutique promptly at 7 a.m. The phone line builds a queue quickly. The boutique is a little pricey, but my daughter absolutely loves the experience, and my wife greatly enjoys watching her princess makeover. This has been my daughter's favorite activity at Disney World all four times she has done it at age 5, 7, 9 and 10. During our visit when she was 9, she asked every day when her appointment was and if this was the day for it. She loved telling the characters she met later that day that she had been to the Bibbidi Bobbidi Boutique in Cinderella Castle. We did not wash her hair or face that night, so she still had the princess look all of the next day (note: bring a shower cap to help keep the hairdo). After returning home and telling others about her visit, she would mention having her hair done and makeup applied in Cinderella's Castle. She also mentions it when she sees Cinderella’s Castle during the opening of Disney movies. 1. Try to get a morning appointment. A morning appointment allows your child to be made up for the day. This works out great if you have a meal at Cinderella's Royal Table or a meeting with Cinderella at Princess Fairytale Hall later. 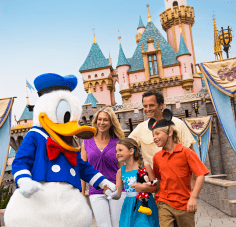 Plus, you can take pictures of your child with characters who may have limited visiting times. 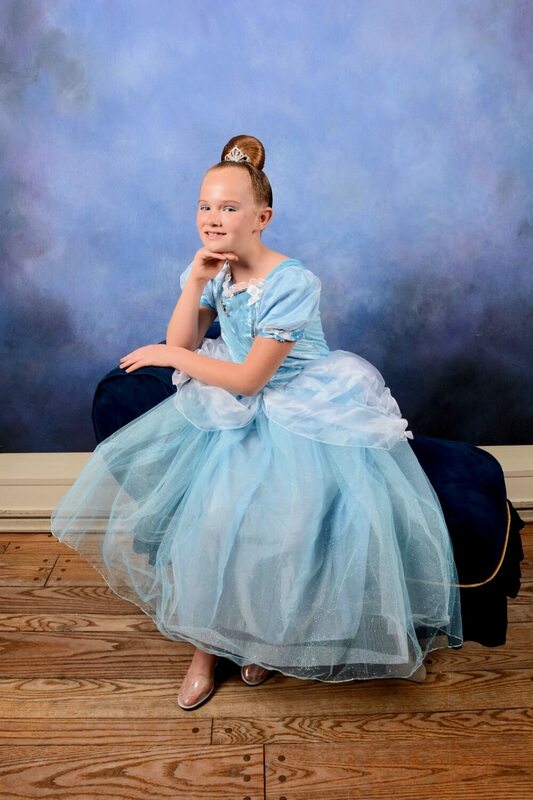 For example, we were able to take pictures of my daughter wearing her Cinderella dress after her Bibbidi Bobbidi Boutique visit with Fairy Godmother and Anastasia and Drizella. All of these characters were only available to see near Cinderella's Castle until early afternoon. 2. Save on princess dresses. You can save on an official Disney version of a princess dress by checking eBay for either used dresses or new dresses that are being sold for less than the retail price of about $65 + tax. The used dresses can be a great value because they typically have only been worn once or twice, and are in great shape. I purchased a new Cinderella dress with several accessories for $45 and a group of four used dresses for only $80. Another option to save on a dress is to watch the Disney Store website for sales. I started watching a year in advance before our last visit and purchased several dresses for at least 25 percent off. If your daughter is near 12 years old or tall for her age, the dress selection is more limited because many dresses are only available up to a size 10. Fortunately for my daughter, the past two years Disney has made 11-12 and 13 size dresses for her favorite princesses. Note that these larger sizes are only available through the Disney Store website and are not at the retail store locations. 3. Bring an extra pair of shoes. If you have a special pair of shoes that go with the dress, you may want to bring an extra pair that is more comfortable. My daughter would wear her fancy shoes when meeting a character and then change to her other shoes after the encounter. Good places for me to find coordinating shoes were eBay and Amazon. 4. Bring your own camera. Make sure that you have your own camera to take pictures during and after your daughter’s transformation. Two nice locations for pictures are at Cinderella Fountain and the Wishing Well. When exiting the castle toward Fantasyland, turn left to head toward the fountain near the entrance to Castle Couture and right for the wishing well on the path that heads to Fairytale Garden. 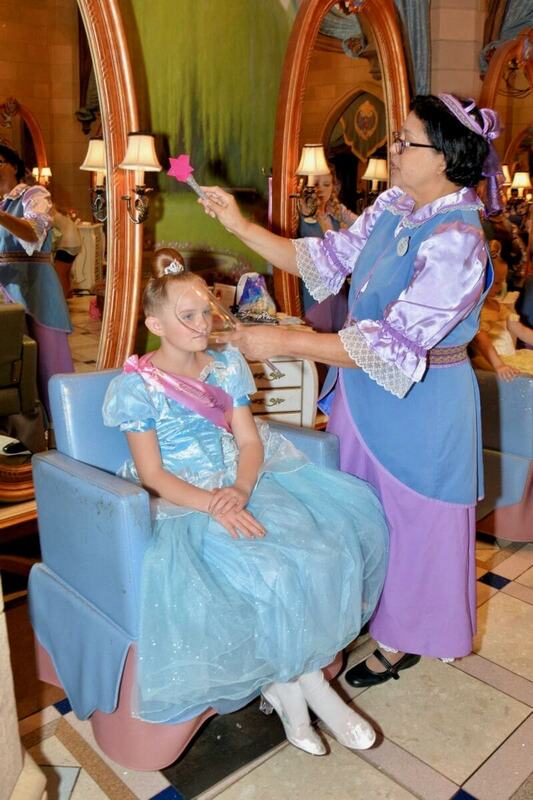 There is limited seating in the boutique for people waiting and watching the princess makeovers. If your child has siblings, it would be good if they could go do something else while the makeover is being done. My daughter’s two brothers were quickly completely BORED and did not want to sit in the boutique when they could be out in Magic Kingdom. I wanted to watch my daughter’s makeover, but there was no place for the boys to sit, and they were not enjoying themselves so I took them elsewhere. 6. There are options for boys too. For little boys who are interested, they have a Knight package ($19.95 + tax) that includes hairstyling with gel, a sword and a shield. The Deluxe Knight Package ($79.95 + tax) adds a Prince costume. My two sons had no interest in this though. 7. Keep in mind the age limit. My daughter did find out that as long as she is 12 at the time we make the reservation, she can get a Bibbidi Bobbidi Boutique makeover. She very much wants to visit one more time before she ages out of the experience. However, for those older than 12 (including adults), a character-inspired transformation option has recently been added at salons across the Walt Disney World Resort. If this applies to you, make sure to check out our post on Disney’s Character Couture Makeovers for Adults. This was a terrible disappointment for my daughter and myself. You pay for the experience of being treated special, but a hair dresser at Great clips talks to an adult better than the fairy godmother did to my daughter. She pulled my girl’s hair while while styling, and there was no smile, maybe she was having a bad day. While waiting inside the boutique, as I was taking pics of my daughter in her outfit, several godmothers just strolled by and photo bombed, with no excuse me’s, which I thought was rude in a normal place, and especially in a place like this. I must say some of the other fairy godmothers were treating the kids special, my daughter wasn’t lucky!! I have a question - my daughter is absolutely enthralled with Tinkerbell! While we're aware that Tink isn't an official Disney Princess, do they do any kind of Tinkerbell makeover/package? hi im interested in BBB for my son 5th birthday even but no site has pics to show what the knights..is this more for girls? Here's an older example of the Knight package. The large majority of guests are princesses, but we've certainly seen some knights coming and going. If it's something your son will enjoy, we recommend it! There's also pirate makeovers available, and of course, a wide variety of costumes available in the shops. We have BBB reservation for 910am and CRT for 1010am on a Saturday in mid September. Do you think we will be ok on time for the crown package. I know we will be cutting it close. Will we be able to get into the park before it opens at 9? I thought I read somewhere you could get in early if you have a reservation before opening hours and provide your confirmation number but wasn't sure they would let us in since our appt isn't til 9:10... Also, how would I find the number to call CRT directly? Thanks! You sure will! Guests are allowed onto Main Street U.S.A starting an hour before park opening (though there will be ropes draped across the entrances to all of the lands). Find a Cast Member near the castle that has a tablet or notepad, and they can confirm your reservation so you can head back. What are the additional coordinating accessories in the Castle Package at BBB? Thank you! These can include a dress (but not shoes), sash, tiara, light up wand, a necklace and a backpack. This can very depending on which character your princess has in mind, so I'd recommend calling the reservation line to be certain. That number is (407) 939-7895. How much is the Knight t shirt that is available? The Knight shirt is about $35. You can call (407) 939-7895 for more information. My daughter turns 3 just 2 weeks after our visit, she would love to get this done with her 5 year old sister. Do they check birth certificates? Or would she be fine at 2 years 11 months old? They do not check birth certificates; they'll just ask you about her age as you make the reservation. Was wondering which package you used with your daughter. So I noticed that Disneyland has a Frozen themed makeover do you know if Disney world will have the same ones? They do -- Disney World has two Frozen packages available at Bibbidi Bobbidi. Hi, we're visiting Disneyland in a few months and I'd love to get the princess makeover for my granddaughter. We're planning on getting the Maxpass which includes Photopass downloads for the day. 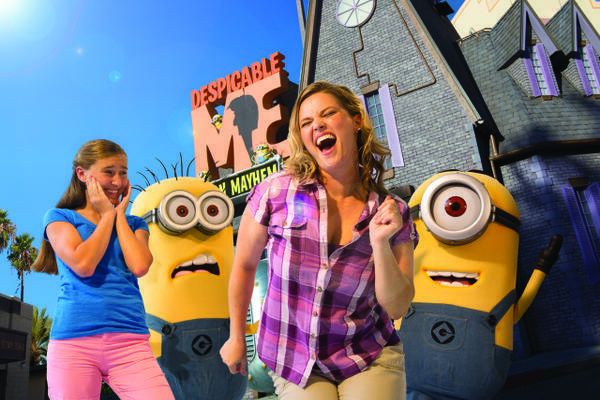 Is the Memory Maker an entirely separate package/cost from that or is it considered part of the Photopass pictures? Thanks! This is a great question.You'll be covered during your trip to Disneyland for attraction photos and Magic Shots with your MaxPass and PhotoPass downloads, as you mentioned, as Memory Maker is a comparable photo downloading package offered at Walt Disney World. Have a frogtastic trip with your granddaughter! Hi we live in England and was wondering how can we book for my daughter to go in pls prior to coming. What fun for your tadpole! We recommend calling (407) 939-7895 to make advance Bibbidi Bobbidi Boutique reservations. Is there any place to see the hair styles beforehand? I remember not being impressed when my niece got hers years ago. I would like to see them before booking an appointment. Unfortunately, there isn't an official Disney menu of sorts to look through online, but a quick Google search shows does have several recent photos for a quick peek. Both of my little princesses have an appointment at 6:20pm for their makeovers and Royal Table Reservations at 8 pm. I have purchased dresses for the occasion. Since we were unable to get early day reservations for both, do you have suggestions on what to do with the dresses while we are visiting the park earlier in the day? My princesses may not want to wear their dresses all day. Thanks for your help! Have a magical day! 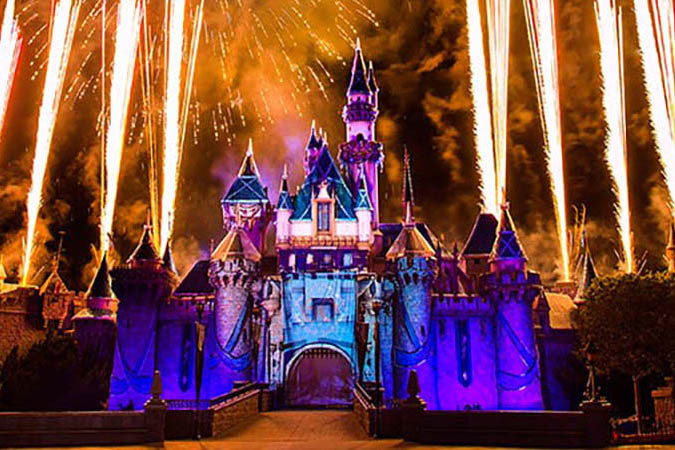 OMG - this sounds like a fairytale night! We would recommend grabbing a locker at the front of the park at the beginning of your day and then grabbing the dress prior to your Bibbidi Bobbidi Boutique reservation. I am thinking of bringing like fancy party dresses for my Granddaughters to wear instead of a Princess outfit. Do you think this would be appropriate? Thank you. Do all of the packages include the little crown with the high bun? This is one of the options for all packages, yes! 2 questions: If you took your own Disney dress, did your daughter wear the dress to the appointment or did you take it with you? And, since you took your own dress, which package did you get? For the Disney springs location...does it have parking at the BBB? There is complimentary parking at Disney Springs via lots and garages! You'll need to contact the boutique! Hello! After doing the BBB, do they take you to meet the princesses? At Disneyland, they take you do the princesses and can skip the line. Was wondering if MK does that as well. No, that is not arranged for Bibbidi Bobbidi Boutique at Disney World. However, if your appointment is at Cinderella Castle, we recommend grabbing Fast Passes+ for nearby Princess Fairytale Hall afterwards OR having lunch or dinner in the castle with the whole royal line-up. That's odd. In our experience, you can book Bibbidi Bobbidi Boutique reservations 180 days in advance, regardless of your Disney package. We recommend calling (407) 939-7895 to book your appointment. How long does the hairstyle last in the Florida heat? We have dinner reservations for 8 pm at 1900 park fare. We're going to Disney springs location on a non-park day. Should we schedule earliest available at 930 am or opt for later 3 pm time to ensure her hair and makeup stay nice for dinner? Daughter is 4. The Fairy Godmothers-in-Training are very considerate of the Florida heat. The style is a comfortable, secure up-do that should last a while. We recommend grabbing an early appointment so your little one can enjoy feeling like royalty all day! We've had other members of the Frog Pond tell us that the hairstyle has even lasted through the next day, if slept on gently! Hi! My daughter actually had the same "godmother in training" as in your photos! However, I did not find her to be very friendly and was disappointed that other stylists were much more cheerful and engaging. Did I catch her on an off day or was your experience similar? My daughter would like to do it again but I'm hesitant since I didn't think it was as good as it should have been. We had a great experience with our fairy godmother-in-training! It may have just been an off day when you visited. We've always had a wonderful time and very interactive cast members. 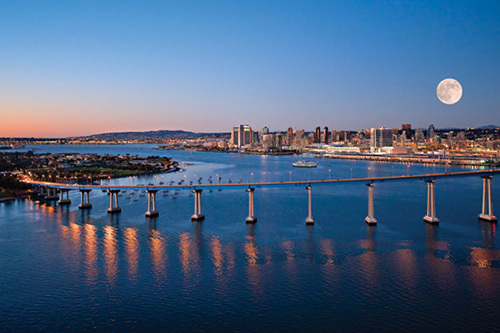 We definitely recommend heading back! When i call to make reservations do i need to pay or do I pay when i get there? You will have to provide a credit card to hold the reservation, but won't be charged until after the appointment! Do they ask for or check your child’s DOB before taking reservations? Are they strict on the age requirements? My daughter will be a 3 months shy of turning 3yrs old when we go this summer and I know she would love to get a princess makeover. I was planning for it until I saw the age requirement. I just called this morning to schedule for my older daughter - my youngest will be one month shy of 3. I was told absolutely not for my almost 3 year old, BUT, they can do things like sparkle dust in their hair. The lady assured me there would be some stuff they could do for our youngest. I plan to bring a dress for her and bank on some sparkle dust and I think our little lady will be fine with it. Unfortunately, Disney and the Bibbidi Bobbidi Boutique are super strict about age policies. We're not sure how they verify ages, but we know they won't allow you to book an appointment unless your child will fit within the age restraints on the date of visit. 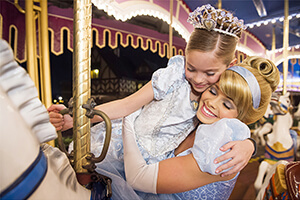 We recommend doing a princess dinner at Cinderella's Royal Table or Akershus Royal Banquet Hall instead! hello, What do you suggest to do after the make over?? 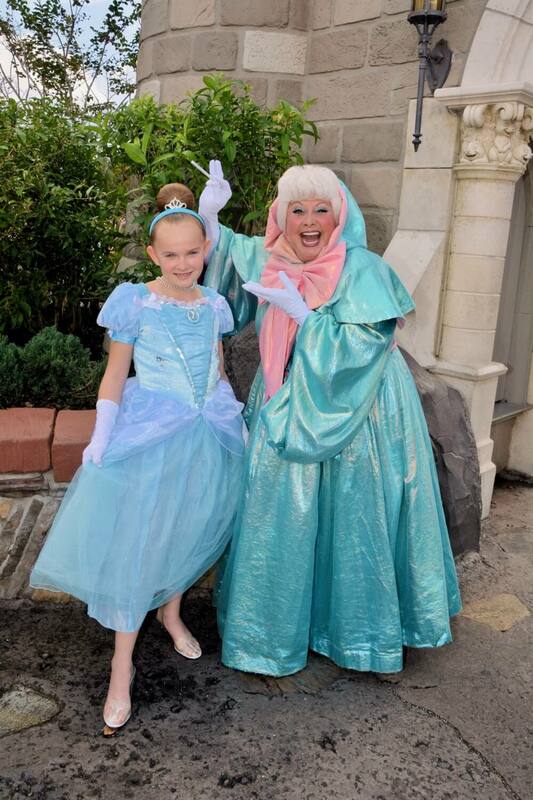 Our favorite thing to do after a makeover is a fun character meal where LOTS of photos will be taken! Cinderella's Royal Table and Chef Mickey's are our favorites! Hello wondering how long each of makeovers take about? Depending on the exact hairstyle and makeover chosen, the makeovers usually take around 35-45 minutes each! I'm taking my daughter, who will have just turned 6, this September. This will be her first trip to Disney and we are planning on visiting Magic Kingdom twice - the first and last day of our trip. I'm debating on whether I should try to book for the first day when it will take a fairly big chunk of time and there will be so many rides and attractions she will be excited for, or wait until the last day when we have already spent some time in the parks and will possibly be more flexible. It's ultimately up to you, but waiting until the last day when you might be more flexible could be a great idea! You're correct - being in Magic Kingdom for the first time is so exciting and overwhelming. It might be easier to take some time for it on your last day! I'm taking my granddaughter on March 16th for her bday,but we took her last year to get made up..but this year she's not into princesses..she loves Mel from Descendents,,any way to get her made up like her? Hmmm ... we have only ever seen little princesses be made over at the Bibbidi Bobbidi Boutique. We would recommend calling ahead of time to accommodate this. If you bring the proper outfit, we don't think you'll have a problem with getting some fun, matching hair and makeup done! Do you know if Minnie Mouse is an option? My older daughter was all about princesses so we always did princess themes. Taking youngest for the first time and she is all about Minnie! OMG - yes! Bibbidi Bobbidi Boutique just started doing Minnie-style makeovers and they are absolutely adorable. Please send us pics! OMG!! I want a Minnie makeover!! Hey we are planning my daughters 6th birthday to go to Disney land and I'm wondering if you get to keep the princess dress or not ? Yes if you purchase the package that comes with the dress, then it's yours to keep! The standard 6.5% sales tax is added at Bibbidi Bobbidi Boutique in Disney Springs. Hi, we booked our bibidi bobidi boutique appointment for 9am at the Disney Springs location. What is there to do afterwards if we want to stay in the Disney springs area? Sounds awesome.Disney Springs has tons to offer, from amazing shopping, to a movie theater, to bowling, to endless delicious restaurants. We would recommend taking your little one to the Disney Photopass studio for a fun photo shoot in royal attire - photos are included if you have Memory Maker! Hello, what options are there for the boys dress up? And up to what sizes for the boys? 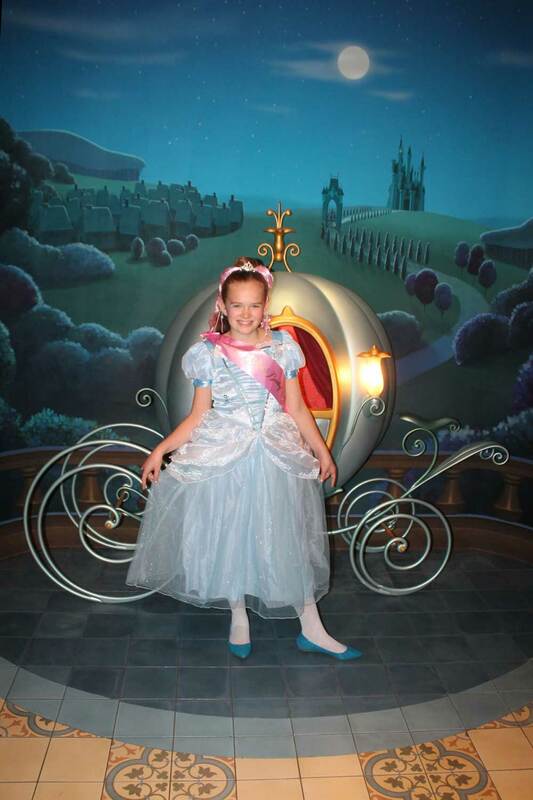 You can find more details on the Bibbidi Bobbidi Boutique experience for boys here. Hi we are coming from Michigan in May, is it to late to reserve a reservation for bidbidi bobbidi boutique. We are staying 10 mins from Disney and plan on going on a Tuesday. It may be tough to get a reservation, but it's always worth a shot! With a location at both Magic Kingdom and Disney Springs, there's a good chance you can find one. Call (407) 939-7895 for reservations. Awesome question. We've seen quite a few princesses rocking a tight top knot bun. We imagine this would last a full day or two. The "fairy godmothers in training" are excellent and put plenty of product (and pixie dust) in to make sure the styles last, so we wouldn't worry. Perhaps just mention your situation to them for a little extra magic! You can go to Harmony Barber shop.on main street for a cut or trim and they will style and pixie dust you at the end of you like?! Yes - the Mulan dress is an option for little princesses! We WISH! That is my personal dream come true ... is it bad that I get jealous of Lily? 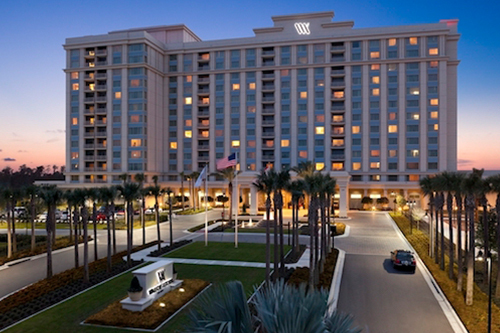 Unfortunately, the closest thing us adults have is the spas located at the Walt Disney World resort hotels. The Grand Floridian is my favorite! You are able to choose from three different hairstyles (Fairytale Princess, Disney Diva and Color Star), nail color and accessories! The type of outfit depends on if you bring your own dress or on what package you choose. Hope this helps! The Crown Package includes hairstyling, make-up/face gem, princess sash/cinch sack and nail polish. We definitely think it's worth doing! I was considering taking my daughter to the Disney Springs boutique the day before our visit to MK, so she can be dressed up for the whole day in the park. I plan on getting memory maker. I assume we can still get photos on the memory maker at the DS boutique location? Would she still be eligible for the castle couture photo session you mentioned? Is that only available with certain packages, or with any boutique makeover? And is it just walk-in? Sorry for the delay, but your comment ended up in our spam filter. Disney Springs has a PhotoPass Service Studio a short walk away from Bibbidi Bobbidi Boutique, where your princess can take many photos with enchanting backdrops. These will be included with your Memory Maker at no extra cost, and no reservations are required. However, the Bibbidi Bobbidi Boutique itself is very popular, so be sure to make reservations as soon as you can, up to 180 days in advance! Have a magical time. We reached out to Disney on this, and they encourage you to take photos at the studio at which the makeover is received. We plan on going to DW for my daughters 3rd birthday. She will actually turn 3 while we are there. My question is because one of the days we are at the park she will be 2 and then the next 3. Do I need to buy her a park ticket? Angel, if your child is still 2 on your check-in date, you do not need to purchase a ticket for her for ANY part of your stay. To clarify, if you are staying in a Disney resort and have a package with hotel and tickets, your child's age at check-in is all that matters for tickets. If you aren't staying in a Disney hotel, you have to buy tickets for a child starting the day they turn 3, no matter what. That is correct. Children are free up until age 3. This is a great question! I think you would be ok with not buying her a ticket, but you could reach out to Disney directly for confirmation. Or at least just buying the ticket for the day she is 3. Hi! are they strict about the age limits? I have a 2 1/2 year old that would just love to do this with her sister. We just left disney. I never told them my daughters age. My mom may have told them 3 but I do not know. They never asked once if she was old enough when we got there. She is 2.5 and acts every bit of it. She loved it!! ok, thanks!! I just hope she can do it. Glad yours loved it! Hi. I was told they will ask us for proof of ticket to verify age. Did they ask you for tickets? I was curious too! I made an appointment for my almost 3 yr old... she'll be 10 days shy of turning 3. Curios if they actually scan a ticket that she should have or not... I know scanned tickets will show cast members your pic you take at the gate getting in... so do they scan them at BBB when you check in for your appointment? Disney is very strict on age policies. When it comes to experiences like this, we don't recommend attempting to bend the rules - it's too stressful! Seeing as she is so close to being 3 years old, we'd think she would be fine! If it's important to your daughters, then it's worth visiting at that time. I booked my daughter in for the Bibbidi Bobbidi Boutique experience at the Disney Springs location. How do we get from the Magic Kingdom to Disney Springs? Is there transportation provided and where would we find it? There is a direct bus from the Magic Kingdom to Disney Springs after 4 p.m. Before that, you'll need to get to a Disney hotel, then take a bus to Disney Springs. The Boutique is located in the Marketplace section of Disney Springs. Hi, we have morning appointments for BBB...our hotel provides transportation to BBB located in Disney Springs...my question is how do we get to Magic Kingdom after our appointment? You can take a bus to Magic Kingdom. How strict are they on age? My daughter turns 3 just 5 days after we leave Disney. That's a good question, and one we're not sure about. You may consider calling the Boutique at (407) 939-7895 to see what they say. Perhaps someone else had this dilemma and will share their experience. If we do bring our own attire, will she still get the picture with the princess? Any child may wear their own dress for pictures with the princesses. It's not something exclusively tied to BBB. If you bring your own dress and book the most basic package, does it still include the little tiara or hair clip? Or do you bring your own tiara? The tiara is part of the Castle Package. If you're doing the basic package, you'd need to bring your own. I have a reservation for my 2 girls and wondered if we were to take our own dresses (which is the current plan), is the experience as good? Are they expected to arrive wearing the dress or are they able to change once they get there? You can definitely bring your own dress and it'll make the experience just as good, in our opinion. There are several different packages available to choose from, some which include a gown. It'll definitely be cheaper if you bring your own! They can also change once they get there. If we bring our own dress to BBB, should she come dressed to the appt. in it or should she just bring it and change during the experience? It's up to you! It truly doesn't matter either way - they will use a smock to make sure not too much glitter gets on the dress ;) We do prefer waiting until after the makeover for a more grand reveal! hi, could anyone tell me if I can buy a bbb t shirt separate from the boutique? I want to get the castle package and it does not come with the t shirt. How long does it take the whole experience? That depends on the package you purchased as well as how busy the boutique is. We recommend blocking at least two hours for the experience. The Crown Package offers some princess primping at an affordable price. 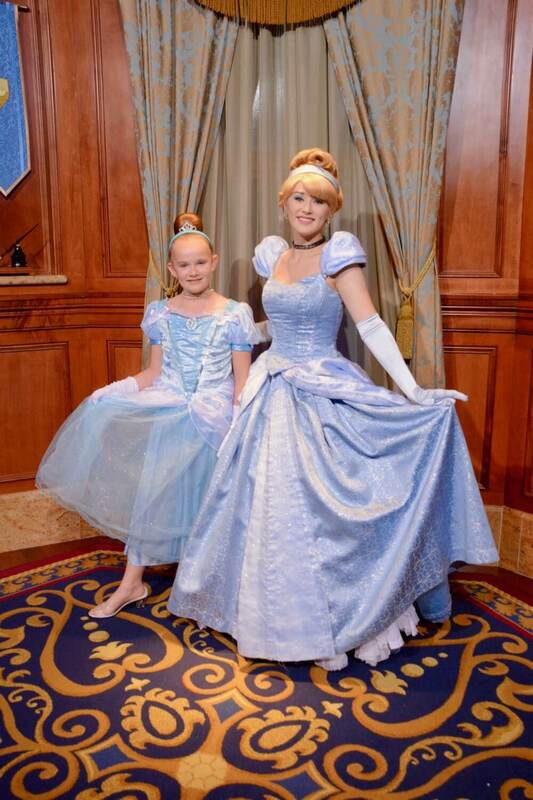 To have your daughter's photo taken with a princess, you would need to find that princess after your time at BBB. Hello! Do you know if you need to present a park ticket for your child when you arrive at the boutique for your appointment? Thanks! If you are visiting the BBB inside the Magic Kingdom, then you will need to purchase park admission.